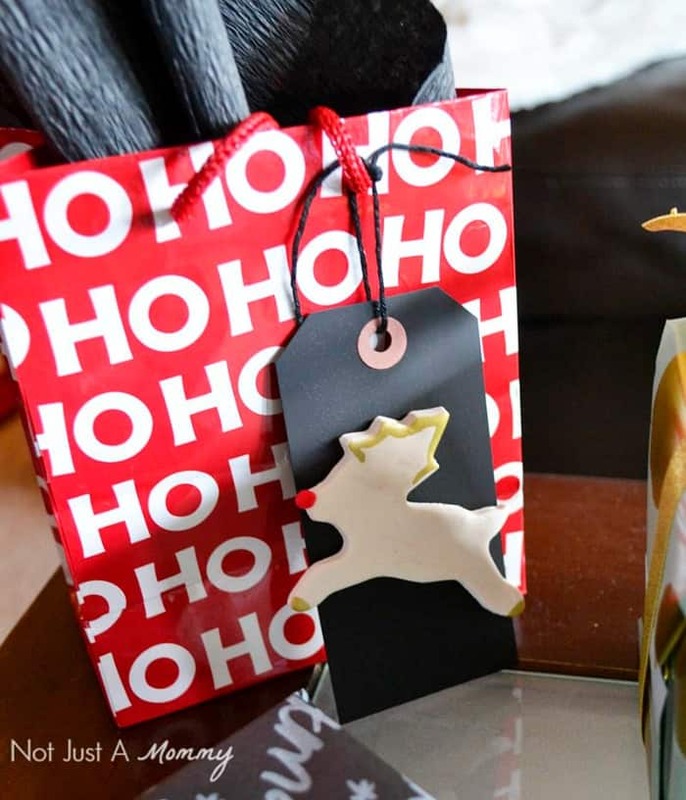 This polymer clay gift tags post is courtesy of our contributor Dawn of Not Just a Mommy…Happy holidays everyone! With Christmas just around the corner, I’m sharing an easy-peasy craft you can knock out in 35 minutes…30 of that is baking time. 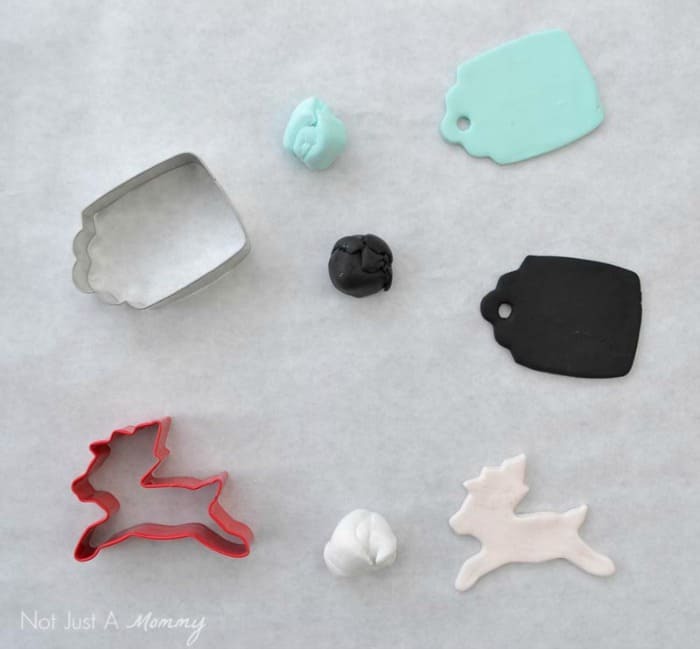 All you need is oven bake polymer clay and the cookie cutter of your choice to create your own gift toppers. I love polymer clay; with so many color choices (hello, mint! ), you can make so many things with it. It is also a fun way to personalize your gifts and create a holiday keepsake that may find its way on the tree. Break out a rolling pin, roll some out to a 1/8″ thickness and cut out with your cookie cutter. Use a straw to punch out a hole, then bake in your oven according to the package’s directions. 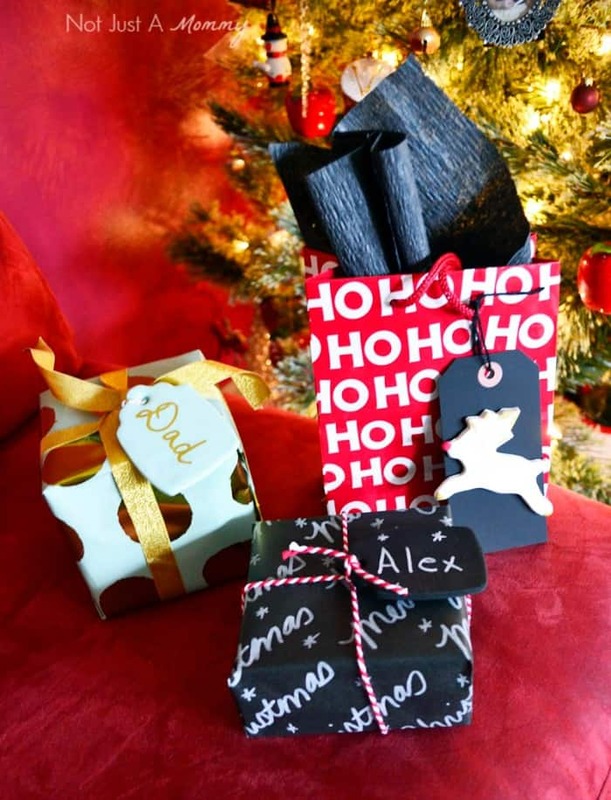 Once your tags are cooled, you can add embellishments and decorate with paint pens. I painted the details on the deer with a gold paint pen, hot glued on a pom pom nose, then hot-glued the deer to a tag. 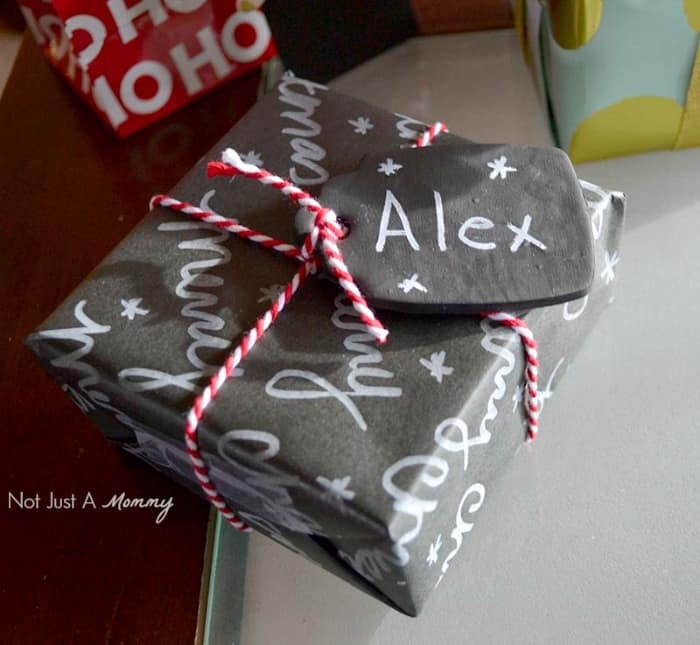 Write on black polymer clay with a white paint pen to mimic a chalkboard. 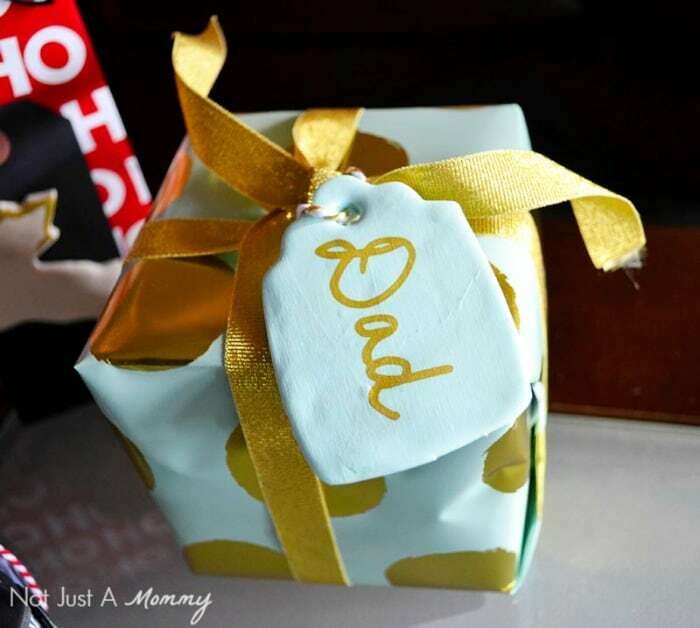 If you are looking for even more ways to personalize your presents, how about decorating the wrap itself? 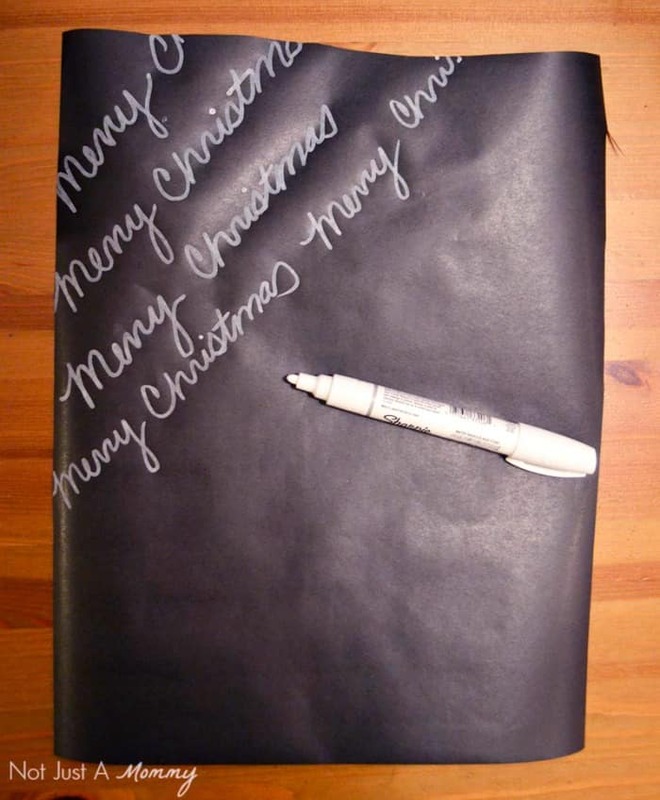 With black butcher paper and a white paint pen, repeat patterns, names or sentiments, let dry then wrap your gift. 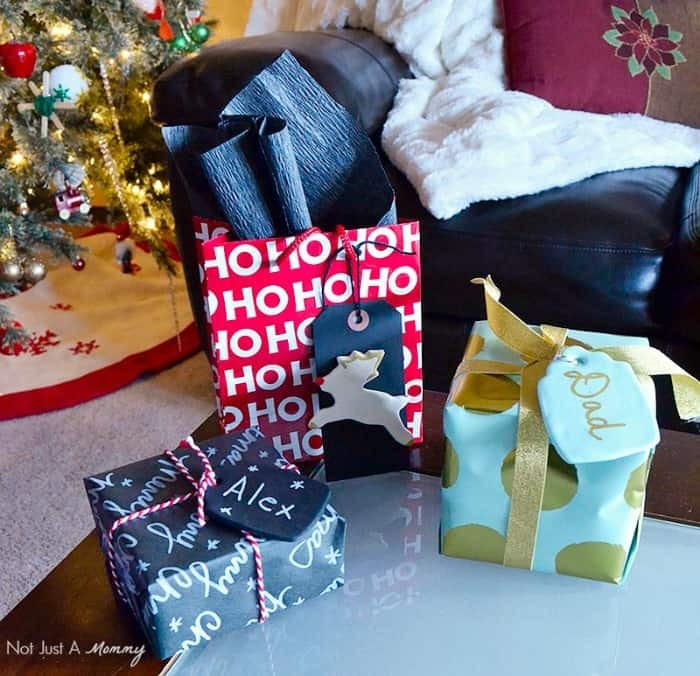 Anyone would get a kick out of seeing his or her name covering a present. I hope these easy ideas help you make your Christmas presents even more special! Need more holiday ideas? 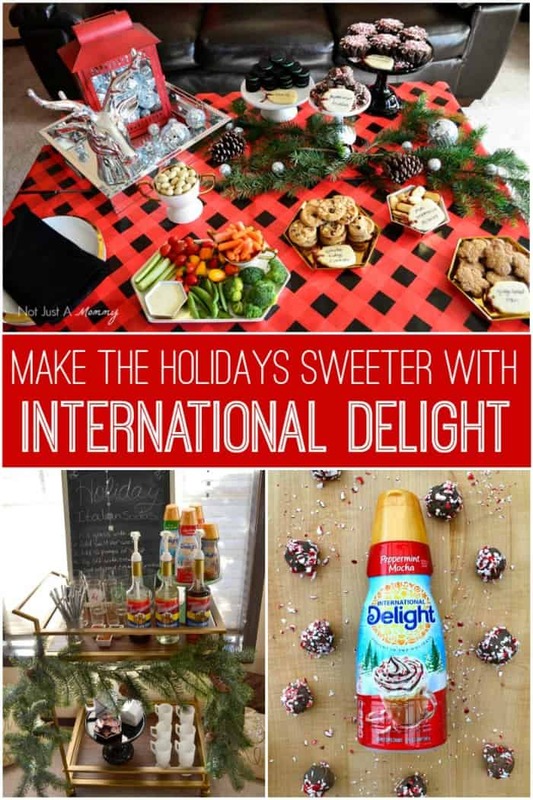 Check out my International Delight post with an easy truffle recipe and holiday Italian soda bar. We’d like to send a big THANK YOU to Dawn of Not Just A Mommy for sharing this creative idea with us. Over on Dawn’s blog you’ll find plenty of party ideas for all of life’s celebrations. I hope you’re ready to plan a party because she’s sure to leave you inspired! Be sure to follow her on Facebook, Pinterest and Twitter for even more creative ideas.